Is your group traveling to the area for a corporate meeting, touring local attractions or going to a local sporting event? Do you need accommodations in the area for a wedding or family event? The Desmond can provide convenient, comfortable rooms for all! We are centrally located to area corporations, universities and a wide number of destinations including Valley Forge National Park, QVC Studio Park, Longwood Gardens, United Sports Training Center, Historic Philadelphia & Lancaster County. Enjoy our beautifully appointed 4-Poster King bedrooms & double Queen bedrooms with traditional furnishings, modern technology, deluxe amenities and pleasant views. 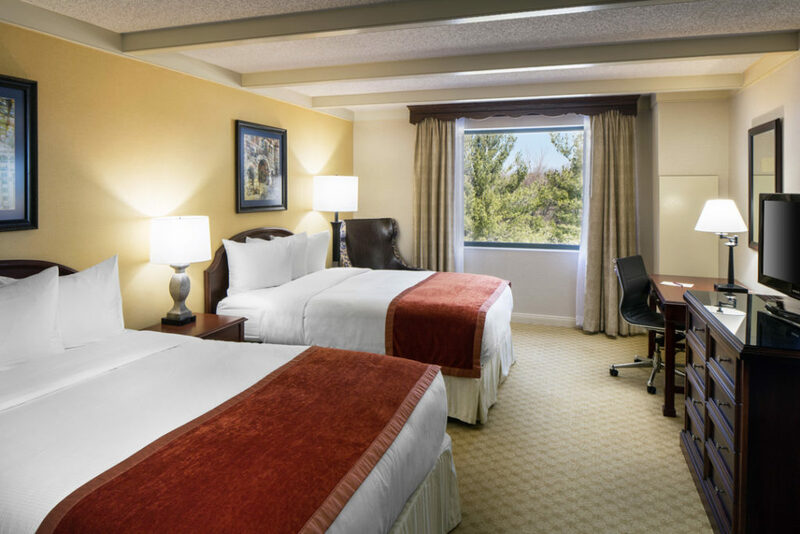 All rooms feature triple sheeted bedding, have flat-screen HDTVs, complimentary WiFi access, full work desks, individual coffee makers and more. 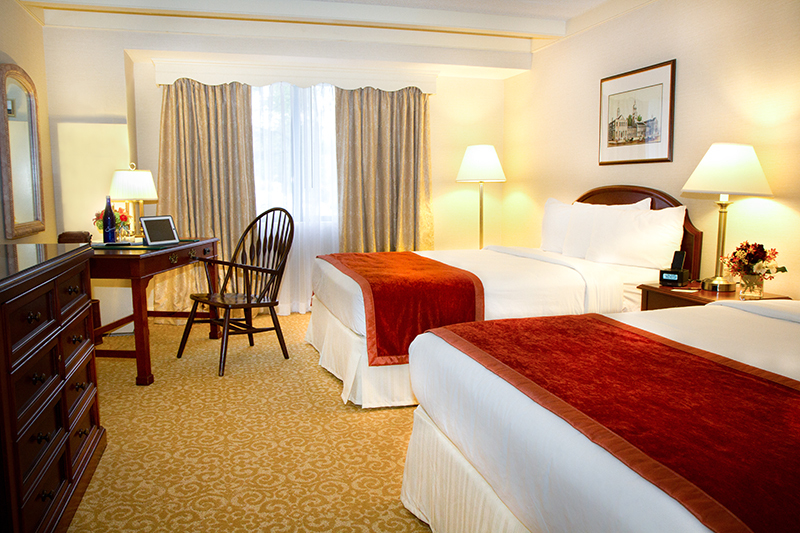 When the day is done, make The Desmond Hotel your home away from home. Unwind with delicious lite fare and beverages in The Fox & Hounds, our unique 18th century style English Pub. Enjoy fine dining and innovative cuisine in the award winning Fork & Bottle and take pleasure in the season by dining outdoors on the Sunset Grille Deck featuring live music from May through September. The Desmond Hotel is the perfect group destination!